Some months ago I wrote a few short comments on a Barna article that Matty sent me. It is found here. But while researching for an assignment I remembered that I had asked for Barna’s new Book Revolution for Christmas, there were a few quotes in it that I could have used for my paper, so while Christine was out I fossicked throught the Christmas goodies to find my gift! …a drastic change occurred in George Barna’s life (about 2003) as a result of his countless hours of researching the effects of organized religion; he realized that very little actual life transformation appeared to be occurring in churched believers all over the country. Even worse, he realized that his own efforts in research were being used by pastors mostly for the purpose of seeking statistical evidence to support their teaching. To his surprise, however, the same research Barna had been conducting over the years led him to a discovery of the fact that God was moving in mighty ways OUTSIDE the four walls of the Institutional Church! In fact, Barna was so impacted by what he observed in the lives of “churchless” Christians all over the U.S. that it convinced him to give up what he had done for 20 years and refocus his attentions. He changed the name of his organization from the Barna Research Group to simply the Barna Group, downsized his organization from 100 employees to eight, moved out of their large office space into a compact area, sought to become more partnership based, and chose to raise the level of risk they were willing to take in new ventures, determining that it would be better to go broke in the pursuit of true life transformation than to remain financially safe but without any gain for the kingdom. 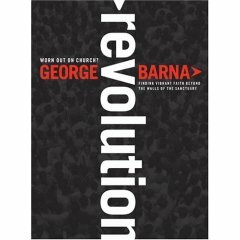 All of that to say that George Barna no longer has interest to merely help grow the Institutional Church. His new passion is solely to see God’s true Church, who are His very people (His body), walk into the fullness of what God intends for them without obstacles, without distractions, without religious strings attached – and to see them live life to the fullest in Christ and minister truth to a lost and dying world who desperately need Him. George was humbled to find that this is already happening without the aid of churches and formal religious organizations or “official” leadership. In fact, one of the most impacting things he notes in his new book is that so many of these groups of believers who serve the Lord outside the Institutional Church System, even though they often have poor organization, lack of great numbers, meager financial resources, often weak human leadership and are sometimes ridiculed and despised by those in larger church organizations, yet they are often more effective (in terms of actual life transformation, relationship building, devotion to truth, and sincere Christian devotion); proving that it is GOD – not man – that is leading these believers. Barna now calls these Christians who no longer center their lives around religious organizations (i.e. churches) “Revolutionaries” and believes they (all 20 million of them and growing) are the real future of the manifested body of Christ on earth; in other words they represent those who have moved beyond the established church and chosen to BE the Church instead. Barna also humbly and joyously admits that he is now one of them as well. having said that he is now “one of them” (ie Revolutionary) does that mean those who have remained within the four walls of the institutional churches, are not? where does this fit with your post on 24th November 2005, entitled “what an amazing statement”. sounds like upon his revelation in 2003, he has taken a number 1 option. Hi Scott! First time visitor. 38, married, kids. We have a few things in common! Stumbled upon your site while searching for bloggers interested in George Barna’s Revolution. Interestingly, David Yeubanks, the writter of the Amazon review you liked, just happens to live an hour south of me in Washington state. Small world? I read the review a few weeks ago and decided to call him. Really nice guy. Very smart. He’s pursuing Christ outside of the four walls of the church. I liked “otherendup’s” comment. Barna does seem to be drawing a line, puposefully forcing the hand of former clients and colleagues. He’s risked his reputation on an idea that others have been writing about for years. But by tying The Barna Group to this conversation I think it’s going to help to validate many who have been wanting to pursue God outside of the walls of the church but have felt too guilty to do so. I just got the book for Christmas. Hi Scott, Thanks for bringing out the personal aspects behind this book. They are seldom mentioned and put everything in a different light. For certain, God works slowly. Patience is needed on the part of those who think they are ahead of others. yes it is true that sometimes we forget that these authors are real people and have lots of issues and do ‘life’ just like we do. I found the same when Dr LArry Crabb went through a kind of personal revival of sorts. It was the processing of ‘I don’t have it all together’ that caused my fascination more than the matterial in all the books he wrote. 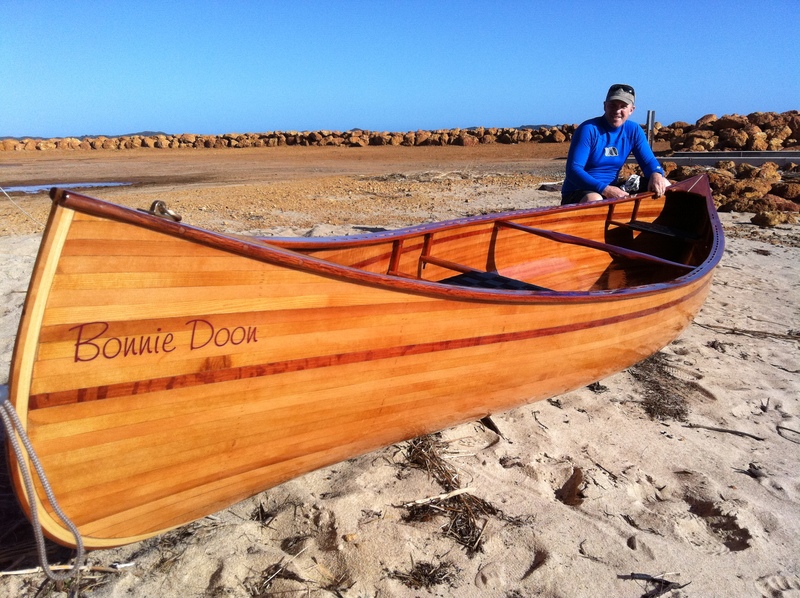 James Paul – Welcome to my site, great to have you ‘on board’.